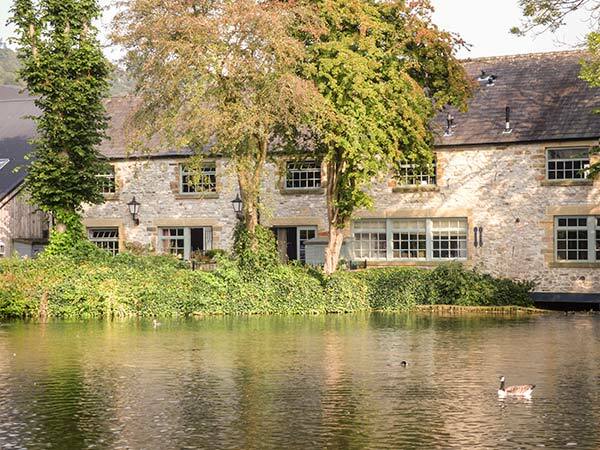 Riverview Mill Retreat is located in the market town of Bakewell within the Peak District National Park. The apartment can sleep four people in two bedrooms, one king-size double, and one double. There is a shower room with shower, basin and WC. The rest of the cottage is made up of a an open plan living area with well-equipped kitchen, dining area and sitting area with a mezzanine seating area. Outside there is off road parking for one car. Riverview Mill Retreat is in an ideal spot to explore this lovely part of the Peak District.